James M. Kerr is a management consultant and organizational behaviorist. He specializes in strategic planning, corporate transformation and project & program development. For over 20 years, Jim has forged a different type of consulting practice – one that does its engagements “with” its clients, instead of “to” them. Whether helping larger organizations, like The Home Depot re-imagine its store operations, or advising smaller firms, like specialty insurer Jewelers Mutual open up new markets, Jim has a reputation of making a difference. A recognized thought leader, Jim continues to provide cutting edge solutions to his clients through a strong dedication to research and study. The Executive Checklist: A Guide for Setting Direction and Managing Change is Jim’s fourth business strategy book and was published by Palgrave Macmillan (January 2014). It is a testament to his commitment to helping leaders improve the ways in which they guide and shape their organizations. A graduate of Bentley University located in Waltham, Massachusetts, Jim earned an M.S. degree in Management Science from Rensselaer Polytechnic Institute — where he continues to teach graduate-level Strategic Planning courses in its Lally School of Management. Morris: Before discussing The Executive Checklist, a few general questions. First, who has had the greatest impact on your professional development? How so? Kerr: I’ve had some great mentors that have guided me and influenced the path that I have followed professionally. There are two in particular that I should call out. The first person that I reported to after graduation from college was Doc Schilke. He inspired me to begin my business writing by suggesting that I write about my point of view regarding some work we were doing with a consultant. 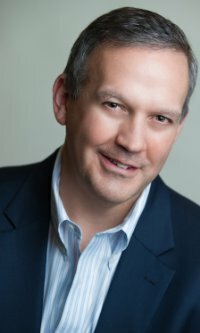 It was a turning point for me in that the article was published by a leading magazine at the time and it gave me some terrific exposure as a thought leader at a very early age – which brought me to know Jim Johnson, another key mentor who offered me an executive position at a major life insurance company. I was 24 years old! Both of these men took a risk on me and, by so doing, helped me to develop into the professional I am today. Kerr: Not to sound like an advertisement, Bentley University prides itself at turning out well-rounded, liberally educated business professionals. They do that by placing an emphasis on liberal arts as well as the business specialties that are its bread and butter courses. While there, I took many courses on philosophy and I think that those courses inform some of the business philosophies that I have helped to develop through my writing and have practiced through work with my clients. Kerr: You don’t have to have it all figured out by the time you start your career. You have time to get your legs under you and explore different opportunities as they arise. If you’re willing to work hard are open to new ideas and taking some risks, you’ll find and will receive what you need to get to where you want to go. Kerr: Homer’s epic, The Odyssey – While Odysseus’ journeys were not mine, I did travel some distance along those lines! Kerr: I’m not sure about this one. There’s a lot of ideas being stolen in the world of business authors. I’ve had some ideas for articles that I’ve submitted to leading magazines and rejected only to find them repurposed under a staff writer’s name. Sorry, but, it is a pet peeve! Kerr: Indeed! Every paradigm shift in thinking began as being characterized as a heretic’s mad raving by those with the most to lose. Why? People who have been successful within whatever prevailing paradigm will naturally resist any idea that threatens their status quo. That said, great changes happen by outsiders with nothing to lose and much to gain by shifting the current paradigm in their favor. Kerr: Seeing or experiencing the unexpected is the beginning of the work required to figure out why that “odd” thing happens. It’s that type of discovery that sparks much of the work of the management consultant. Kerr: True, true! Paving over the cow paths isn’t going to lead to the breakthrough thinking required to be successful in the early 21st Century business world. Indeed, we must start by re-imagining what is and how it can be done better in the future. Morris: In one of Tom Davenport’s recent books, Judgment Calls, he and co-author Brooke Manville offer “an antidote for the Great Man theory of decision making and organizational performance”:organizational judgment. That is, “the collective capacity to make good calls and wise moves when the need for them exceeds the scope of any single leader’s direct control.” What do you think? Kerr: That’s one of the goals of a holacracy – which is the concept behind flatter, more team-based organization structures. I wrote a piece recently about Zappos commitment to institute this way of managing work and the flatter organization structure that comes with this way of managing a business. I think that it just makes sense. Eliminate bureaucracies by eliminating bureaucratic thinking – the very way of thin king that led to the “Great Man” theory to begin with! Kerr: I would view as an idea derived from the Learning Organization concept introduced in The Fifth Discipline by Peter Senge many years ago. Clearly, the concept has merit and it is how organizations can learn from experience and mistakes. The key is to ensure that those empowered to try new things are equipped with the requisite skills and experience to carefully execute in an informed way so to minimize risk, recognize value and manage through difficulties encountered in a controlled fashion. Kerr: Micro-management is a leadership style that hinders delegation and empowerment. I’ve written quite often about Leadership Styles in, both, my books and my articles. Fortunately, this style of leadership is not that widespread among C-level leaders. In fact, narcissistic leadership styles – one where credit is seldom shared – is far more prevalent in my experience. Nonetheless, the prevailing thought that inspires the micro-management behavior is one where the leader believes that no one else is as competent as he or she. Clearly, this behavior can be changed. But, it’s difficult because change can only come when the leader recognizes it as a problem and, most importantly, wants to change it. Kerr: I couldn’t agree more! In fact, we begin every strategic planning engagement with Vision Story work. I believe that vision stories must be compelling and vivid in order to attract staff members to do the work needed to realize the leader’s vision for the future. So, yes, the best leaders can tell a gripping story. Kerr: Surely, it’s part of the human condition to remain in one’s comfort zone. There are two ways to encourage people to move on from their comfort zones. 1) show them a better future – through a vivid and compelling Vision Story – one that is even more comfortable than the one that they’re currently living in, and, 2) identify a threat that must be overcome in order to continue to survive comfortably. Either one, can motivate people to stretch and achieve new things. Kerr: What we like to say in our business is “you can hire the kid that read one of my books, or you can hire the guy who wrote them.” The biggest challenge for recent MBA students is to find a job that provides them with the opportunity to learn about and experience business life, first hand. I earned a masters degree, too. But, I did while I worked full-time. The work tie-in is what’s lacking in today’s educational models. It’s what I’m already seeing many distinguished universities moving toward in their MBA programs. Kerr: Becoming agile and quick is the next big challenge for CEOs of large, lumbering organizations. Being willing to re-imagine the way work is organized, managed and executed is the first step that needs to take place. Once there, most large organizations will need to formally plan, fund, staff and execute a transformation program in order to make the best choices for change. Morris: Was there a point in your life when you suddenly realized how helpful a checklist could be when ranking priorities, setting direction, and managing change? Please explain. Kerr: Checklists are used everywhere from Santa’s Naughty ‘N Nice to David Letterman’s “Top 10” list. The notion of providing my C-suite readers with an easy to access approach to the key strategies and tactics needed to flourish as senior leaders seemed like a winner. It was from that idea that The Executive Checklist book was formed. Morris: Now please shift your attention to The Executive Checklist. When and why did you decide to write it? Kerr: The Executive Checklist is my fourth book. So, writing the book didn’t require a big revelation or any significant emotional event to take place to motivate me. However, as mentioned earlier, I did see a need to make things simpler for the executive reader, and those aspiring to become executive leaders one day. The Checklist structure is a technique for simplifying, thus, I used it as a device for organizing the book. As a by-product, the book’s contents are also easy to reference by a reader in the future. Each chapter begins with a checklist that summarizes the key points brought out, and, most points a supported by stories from industry that serve to enlighten and inform. Kerr: I always find that I learn so much more about a topic when I’m forced to explain it in writing so that someone else can understand. Covering the ten topics that comprise The Executive Checklist was no exception. While there were no head-snapping revelations (the topics are subjects that I’ve been consulting on for two decades), I did learn a great deal about the subtleties that underpin each subject when putting pen to paper. Kerr: I think The Executive Checklist came out better than I could’ve imagined. People have really responded positively to it as demonstrated by coverage in leading magazines like BusinessWeek, Fast Company, and Forbes. Morris: While reading your book, I was reminded of the fact that, In 2004, a leadership team led by Jørgen Vig Knudstorp began to transform LEGO “brick by brick” into one of the world’s most innovative as well as most profitable and fastest growing toy companies, in ways and to an extent once thought impossible. You seem to be suggesting that an organization and even a career can be transformed “checklist by checklist.” Is that a fair assessment? Kerr: I think so. As referenced earlier, I tend to cover a topic from a philosophical stand-point. You can think of The Executive Checklist as a management philosophy that, if followed, enables a leader to set direction and mange change in ways that will make a huge impact on the organizations that they lead. Morris: For those who have not as yet read the book, you provide “The Executive Checklist” of ten items, each of which can be viewed as an objective as well as the process by which to achieve that objective. Are they listed in a specific sequence, with the first (“Establishing Leadership”) preceding the second (“Building Trust”)? Please explain. Kerr: Yes and no. The intention was to lay out a management approach that can be followed and used to transform an enterprise. That said, the order of the chapters makes sense only if you’re starting from scratch – that is – you’ve just inherited the responsibility to lead a new group or organization. If, on the other hand, you’re already recognized as a formal leader then the book (because of its checklist format) can be used to take a deep dive on the topic or topics that you’re most interested in learning about. We hope that this characteristic is appealing to business readers. Morris: You suggest that your book provides “a framework to be used to institute overarching, enterprise-wide transformation.” I also think that framework will provide an excellent “blueprint” for developing an action plan. Your own thoughts about all this? Kerr: It should! Program planning and action planning follow very similar steps. So, yes, one can use the book as a blueprint for driving organization-wide transformation and one can use each chapter as a blueprint for action planning within the subject area. For example, the checklist that introduces the Trust Chapter can be used to outline an action plan for instituting a high trust work culture. Kerr: There’s a reason that Adams was one of the country’s founding fathers. How eloquent! I thought it was a terrific way to introduce the reader to a book about leadership and transformation. Morris: I commend you on your skillful use of two reader-friendly devices in each chapter, in tandem: “Checklist Item [X]” and “See It in Action.” Please explain what each combination helps to accomplish. Kerr: The checklist simplifies the message, making the book more accessible to readers who may not be interested in reading a book cover-to-cover, but who desire quick access to ideas that they’re particularly interested in. The sidebars allow the reader to learn about how the ideas presented in the chapter are being applied in industry today. In essence, you can “see it in action” by reading the sidebars. Kerr: Customers won’t give their business to organizations that they don’t trust. So, establishing your enterprise that is recognized as trustworthy is essential to continuing to flourish and grow the business. Kerr: Every business seeks to do three things, regardless of its size, industry affiliation, products or services. These are to become the” provider of choice” within their niche, the “employer of choice,” and “the investment of choice.” Do all three, and, you’re a powerhouse! So, renovating the enterprise to become and remain “of choice” underpins everything that you do. Kerr: The recent banking debacle shows what can happen when important information is hidden or buried. Transparency encourages honesty and trust. As stated earlier, establishing trust is fundamental to growing your business. Kerr: Of all the great leaders throughout history, with which one would you most want to share an evening of conversation if it were possible? Why? Kerr: Machiavelli and I’d ask him “Why?” I’d want to know why he felt that being underhanded, cutthroat, and deceptive were the only ways to succeed. That said, as a diplomat and politician, he and his writing have obviously influenced many generations. Morris: If you were asked to speak at an [begin italics] elementary school graduation ceremony [end italics] and explain why innovative thinking is important to personal growth find out who you as well as one’s career (no matter what it turns out to be), that would be your key points? Kerr: Imagination knows no bounds. Don’t be afraid to imagine new things. So, don’t be afraid to ask more questions. Somewhere in your work of discovering and imagining you just may learn things about yourself that will help you lead a life full of mystery and imagination. Kerr: I love that quote. I used it in the book, too! It’s one thing to imagine great things for yourself or business. It’s another to do the work needed to realize them. SO, the message is dream the dream then be willing to pay the price to make them come true. Morris: Let’s say that a CEO has read and then (hopefully) re-read The Executive Checklist and is now determined to establish or strengthen a workplace culture within which personal growth and professional development are most likely to thrive. Where to begin? Kerr: Commit to shared training! As I write in the book, we must shift from company-provided training towards shared training, a more equitable model where the cost and responsibility of training is shared between organization and staff. Shared training can take many forms. Classically, an enterprise provides a set curriculum of technical and soft skills training, while encouraging staff to pursue additional training in complementary skills that they want to develop. The organization may pay for some part of the extracurricular education or just allow the employee paid time to educate themselves. Morris: For more than 25 years, it has been my great pleasure as well as privilege to work closely with the owner/CEOs of hundreds of small companies, those with $20-million or less in annual sales. In your opinion, of all the material you provide in The Executive Checklist, which do you think will be of greatest value to leaders in small companies? Please explain. Kerr: I believe that the ten core principles that comprise The Executive Checklist applies to every organization, big and small. So, no one concept should take precedence over another. That said, subjects covered like collaboration, teamwork, and forging a sense of “being in it together” are vital to success of everyone and cannot be stressed enough – regardless of size or revenue. Kerr: What’s next? I’m writing a book about leadership that will take the form of a business fable (a modern day Who Moved my Cheese?) I’m looking for a publisher as we speak.